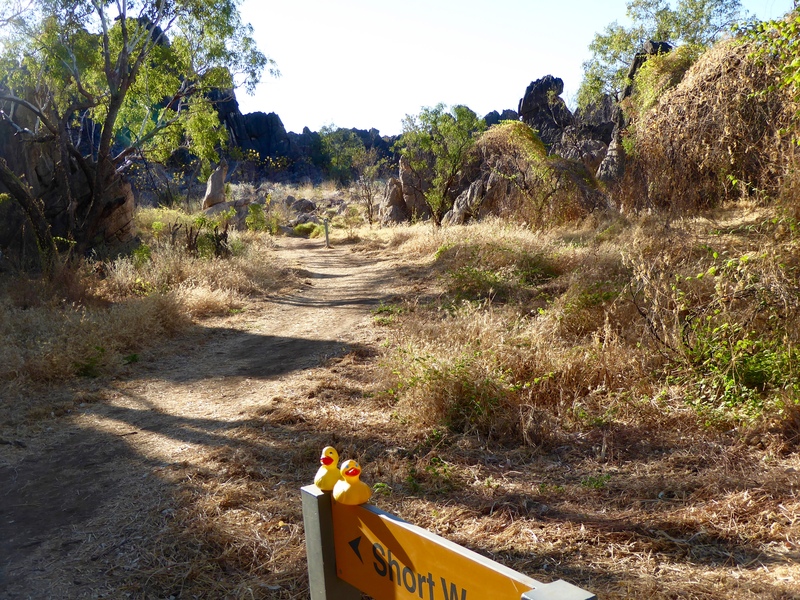 We are in Geikie Gorge National Park in the Kimberley Region of Western Australia. This area was once covered by tropical seas. 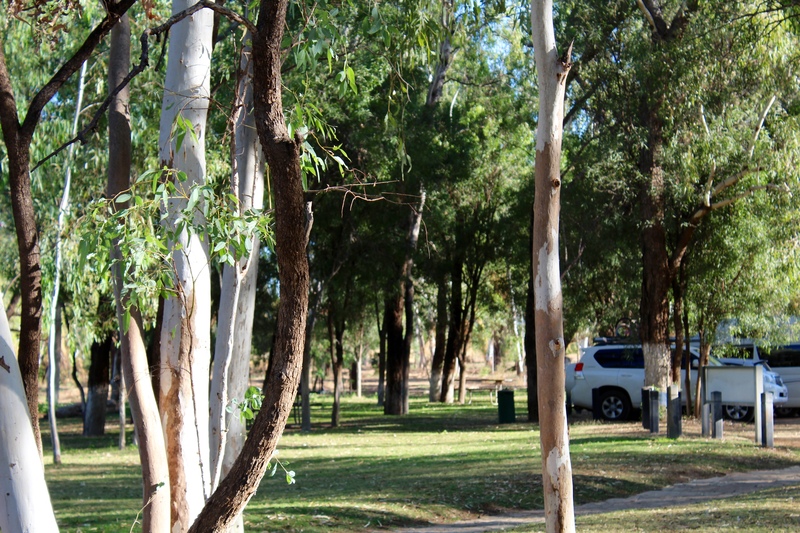 The area includes 3 National Parks. We will visit all of them, but now we are in the Geikie Gorge. 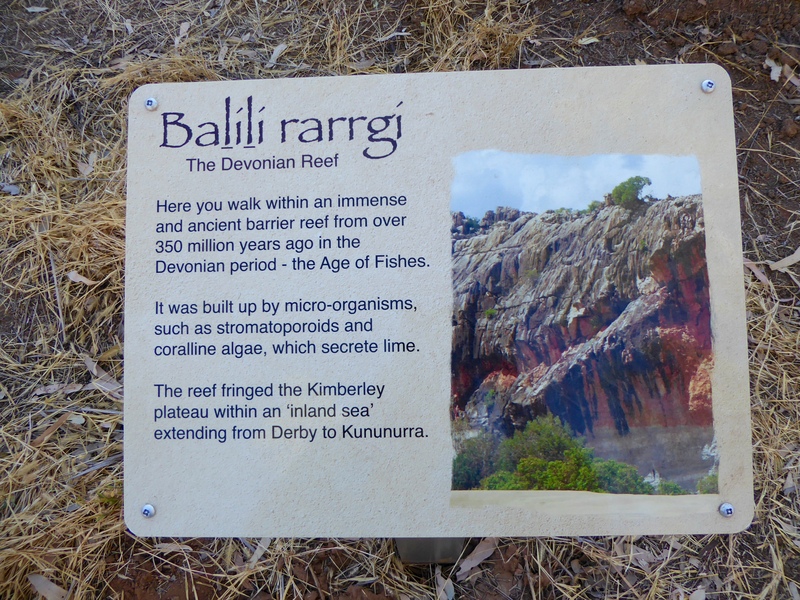 These parks originated as the western Australia reef, around 350 million years ago, during the Devonian Period, and now feature rocky landscapes and formations and gorges. 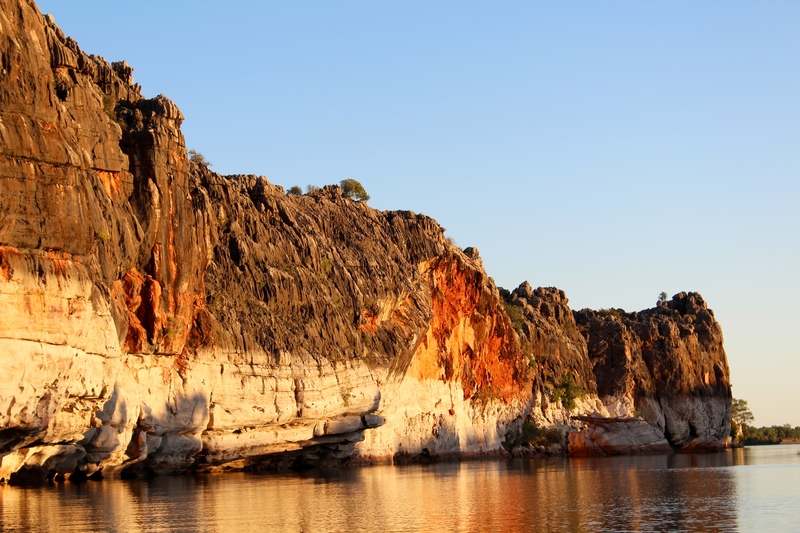 We are promised views of the most spectacular landforms in the Kimberley Region. While waiting for our boat, we take a short walk. Vegetation and rock formations are beautiful and abundant. The tree trunks are even colorful. These tree trunks fascinated us. We love this place! 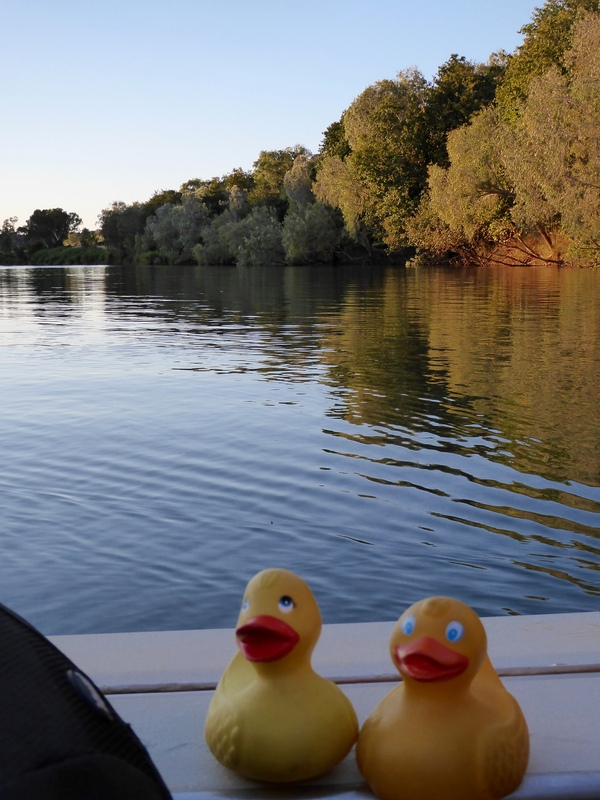 Our boat is now ready for us. We wil ride on another boat! 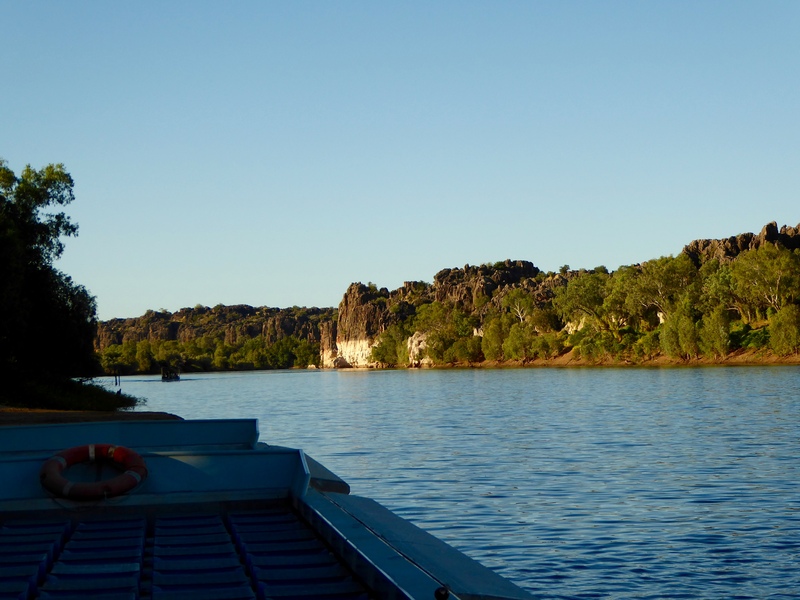 Today the Fitzroy River is calm and we are cruising beneath towering cliffs of the Devonian reef. We can see the waterline by the color of the rock. During The Wet, rainy season, the Fitzroy River rises 16.5 meters, staining the walls and flooding the National Park with 7 meters of water. The colors of the cliffs here are so bright. Great reflection in the Fitzroy River. We heading into a cave. This wall is so full of fossils preserved in the ancient limestone reef. 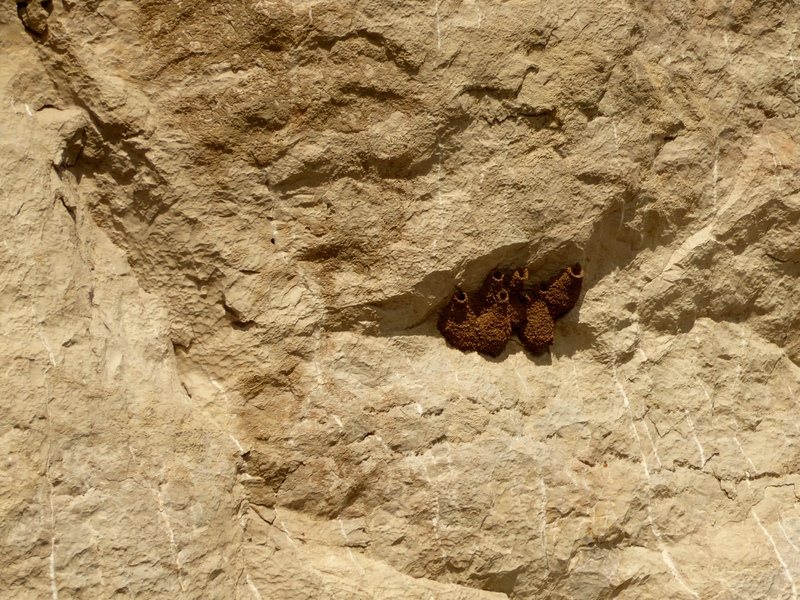 Also migrating birds and bats build mud nests here. 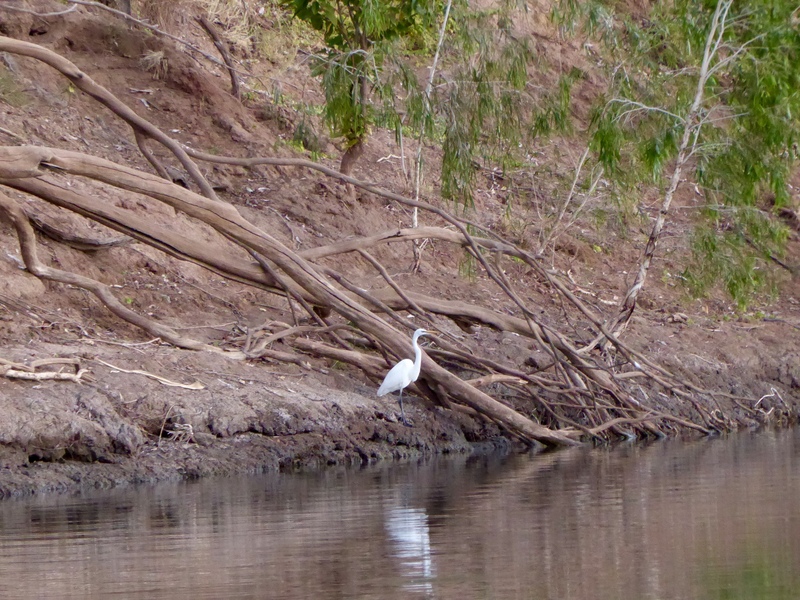 The Fitzroy River has many fish, so there will other animals here. 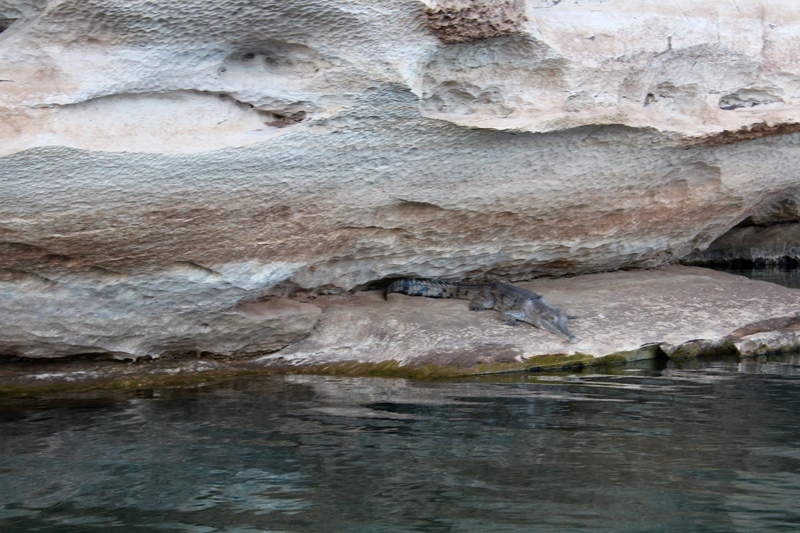 This fresh water crocodile is not supposed to be aggressive, unless provoked. We will give him plenty of room. This calm river is so different from the flooding of The Wet. Had to imagine the floods, but they arrive every year. 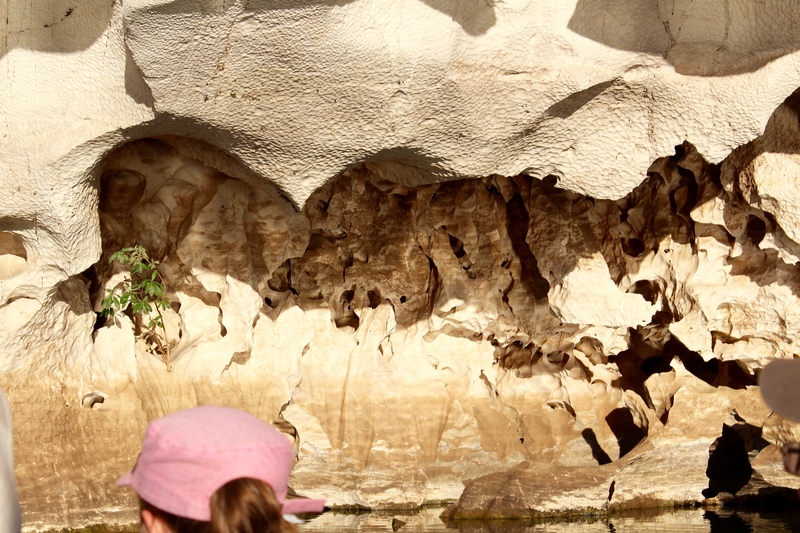 This gorge is reported to be 30 meters deep and is between the Oscar and Geike Ranges. This bird was so still. We like reflections in the still river. 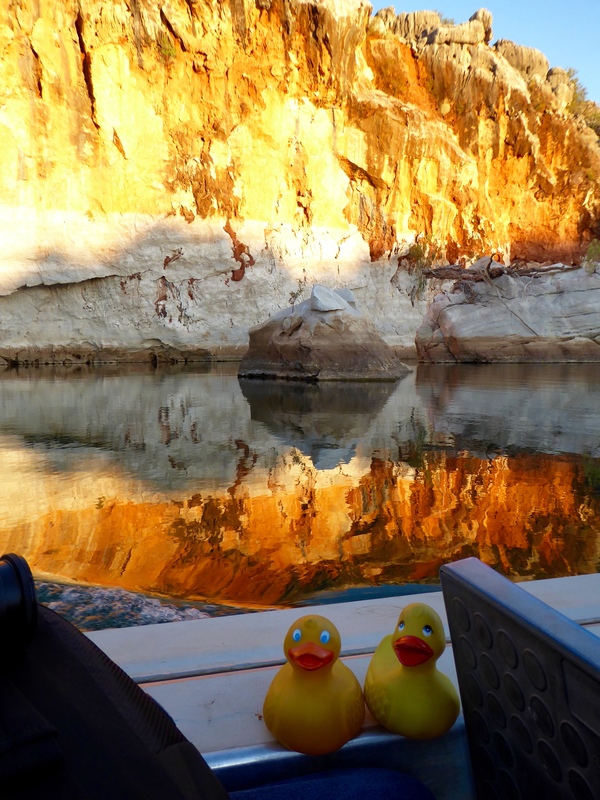 Our cruise is almost over, but the bright colors on the rocks just take our breath away. We hope you come here in The Dry. It is beautiful. Next time we will visit another of Australia’s national parks. 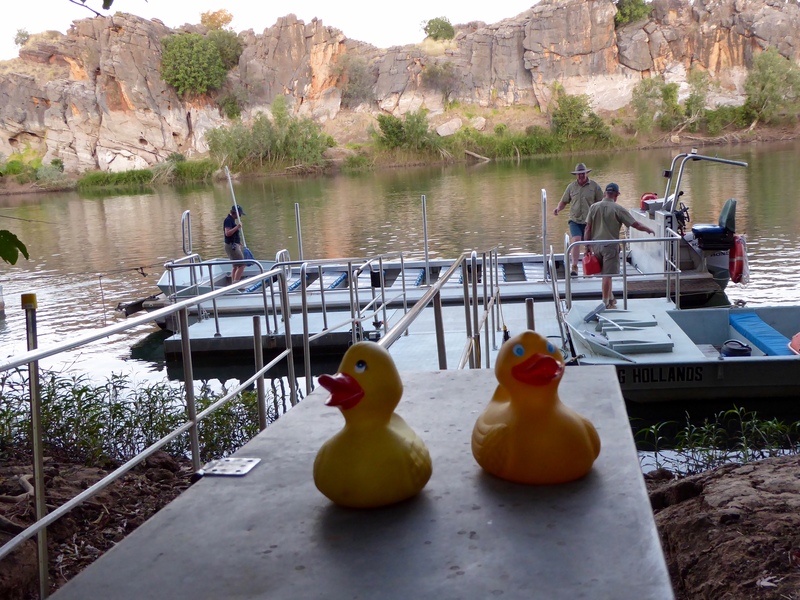 This entry was posted in Australia, Western Australia and tagged Colorado Traveling Ducks, Devonian Reef, fresh water crocodiles, Geikie Gorge National Park, The Kimberley, Western Australia. Bookmark the permalink.